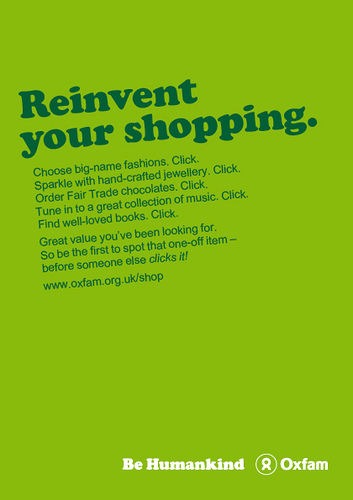 Did you know you can shop online for second hand clothes at Oxfam's online charity store? No? Nor did I! Oxfam UK's online shop raised GBP £5 million in its first year, selling goods donated to Oxfam shops, as well as a range of new products and gifts from Oxfam’s Unwrapped alternative gifts catalogue. Can orders be delivered overseas? 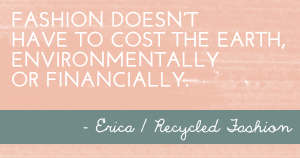 Currently, we don’t allow goods from our Second-hand Store or Ethical Collection to be delivered internationally. 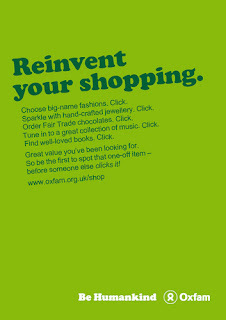 This is something we're looking to introduce as we develop Oxfam's Online Shop further. Orders can only be shipped to a UK address. Maybe this could be the future in op/charity shopping? Will we see more large chains (Salvos, Vinnies etc) selling second hand donated clothing in online stores? 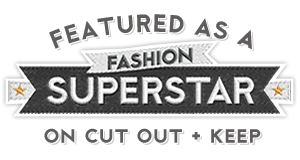 It could certainly be a convenient way to shop for recycled fashions.